Some stories are fairytales…but this isn’t one. When Sutton Hale moves into the apartment across the hall from Caelan she’s not prepared for her reaction to him. 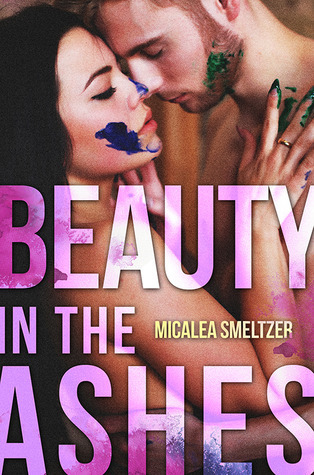 Something in his broken blue eyes calls to her – after all she’s always had an irrational need to fix everything. But Caelan doesn’t do relationships or feelings. He does drugs and alcohol. However, he can’t ignore his desire to get to know the raven haired woman across the hall. That being said, I found this book amazing. No, I’ve never had my family murdered or gone through what Sutton has gone through, but at the same time, I can relate to the brokenness of both characters. And these two are beyond broken. They’re shattered. It hurts to read their story, it pains you as a reader to see what kind of a life they’ve lived, but at the same time, it gives you hope that things can get better. I think it was particularly relatable for me to read this book because I saw this kind of life in my line of work. I saw first hand how broken people can be. And I saw it when there was no hope. I’m not saying this book will leave you all warm and fuzzy at the end. It probably won’t. I will be honest and say that I cried reading the last couple of chapters because they touched my heart. Did I want a different ending? A part of me did. But at the same time, I understood the decisions these two had to make and the maturity they both arrived at, at the end. That’s what I loved most about the book. Is the growth of both Caelan and Sutton. The understanding that sometimes the hardest decision is the best one and that sometimes we need to let go, rebuild, start over. It’s hard to review this book without giving much away, but I want people to read it, because it’s a story that deserves to be read. It is DARK and TWISTED and filled with broken people, but just like the title says, there is Beauty in the Ashes and this story has proven that in it’s pages. Micalea did a fantastic job, crafting a story that will stay with you long after you’ve read the last word. Because I want everyone to have a chance to read this book, I’m giving an E-copy away!! All you have to do is fill out the form below! Even if you don’t win, I still hope you pick up this book and see what it’s all about for yourself. Just be prepared for the feels!